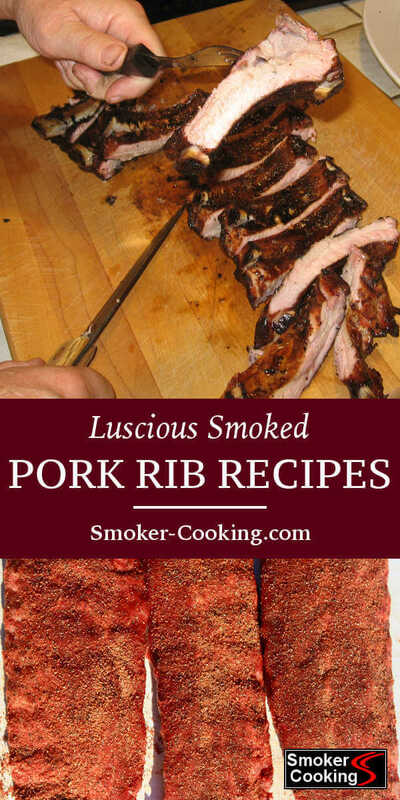 When it comes to smoked rib recipes, there are three important things you need to know - how to prepare ‘em, how to season ‘em, and how to smoke ‘em. As far as eating them goes, I think everyone has that figured out! There's not much people enjoy more than sitting down to a big plate of smoky, tender ribs...but first, you have to do the smoking. 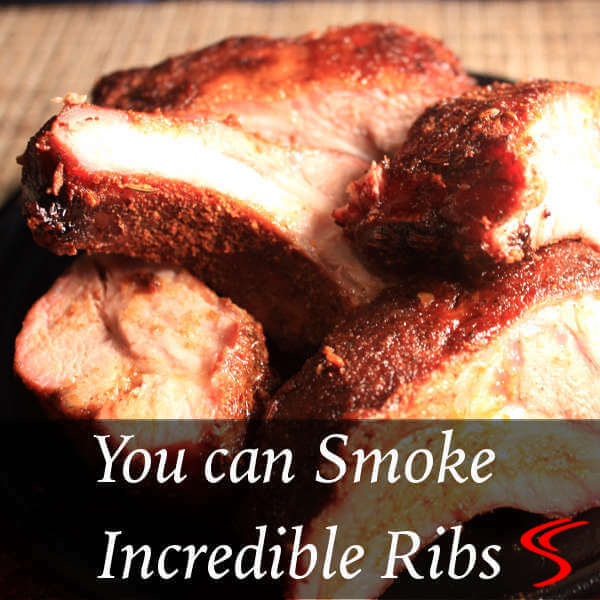 There are a few different types of ribs, and all are great when smoked. You have pork spare ribs, baby back ribs, and country style ribs. And there are rib tips, and the trimmed-cuts of the whole spare rib slab - the St. Louis style and Kansas City style ribs. And that’s just the pork ribs. From beef you get the back ribs and several different types of short ribs. Pork spare ribs and baby back ribs are best when cooked until tender, but not falling-off-the-bone. Sure, they taste good that way too, but perfectly cooked they should have a little “pull” to them- the meat separates from the bone easily, but still holds it shape and has a little bit of chew. 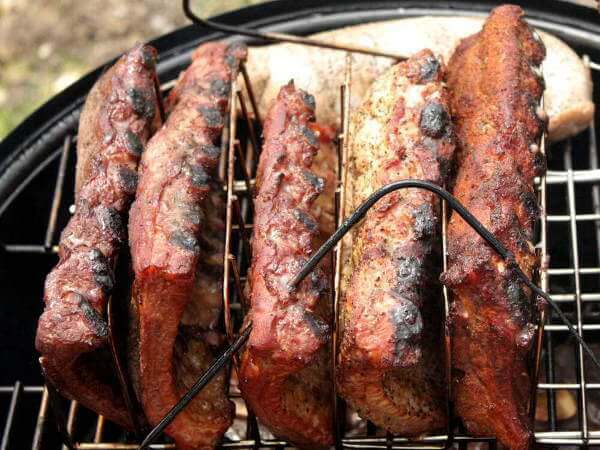 Pork country style ribs can be smoked until well done, or taken off sooner. Often these ribs are tender when the meat reaches its minimum safe done temperature of 145 degrees. Beef ribs, to me, are best when well cooked. There’s more connective tissue in the beef ribs and the long cooking time really makes them tender. It also makes the ribs a lot more tasty. 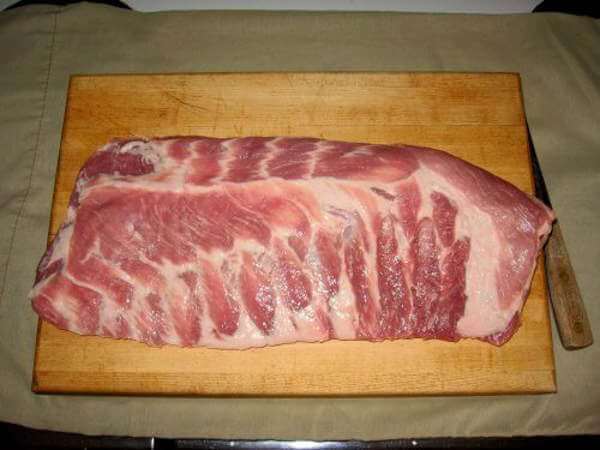 To learn about smoking ribs, a good place to start is Preparing Pork Spare Ribs, where you'll learn how to get your pork ribs ready for the smoker. 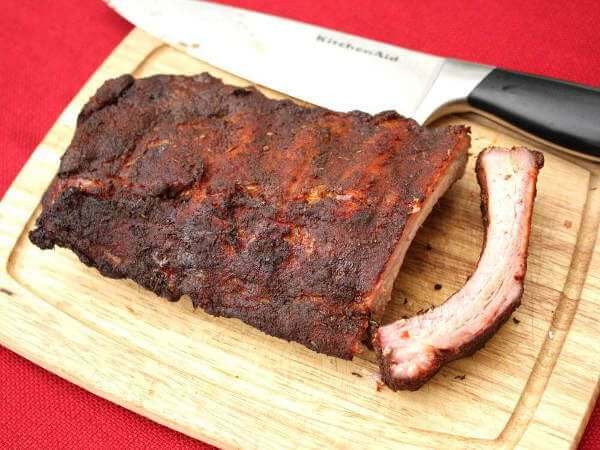 Fresh ground spices are the means to an end with this rib recipe. And it's a very happy ending, if you know what I mean. If you love black pepper, and you love pork ribs, this recipe is a match made in Heaven! A black pepper rib rub seasons spare ribs to give them a spicy-hot flavor that's out of this world. These tender and juicy smoked ribs start with a marinade in apple juice and seasonings, then get a sprinkling of dry rib rub for the final touch of flavor. An overnight rest in a flavorful rub mix adds a lot of flavor to these ribs. Smoke 'em until they are melt in your mouth tender! 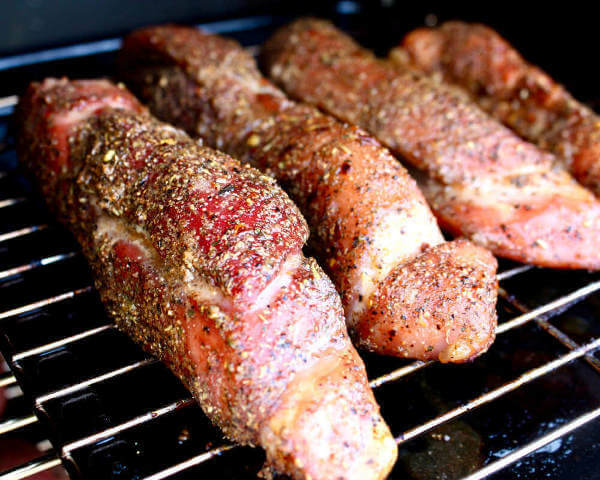 Pork ribs can be smoked with about any kind of smoking wood, but hickory, pecan and oak are the most popular. I enjoy apple or cherry wood smoked pork ribs every now and then. But my usual method uses a combination of oak and hickory, at a ratio of two to one. 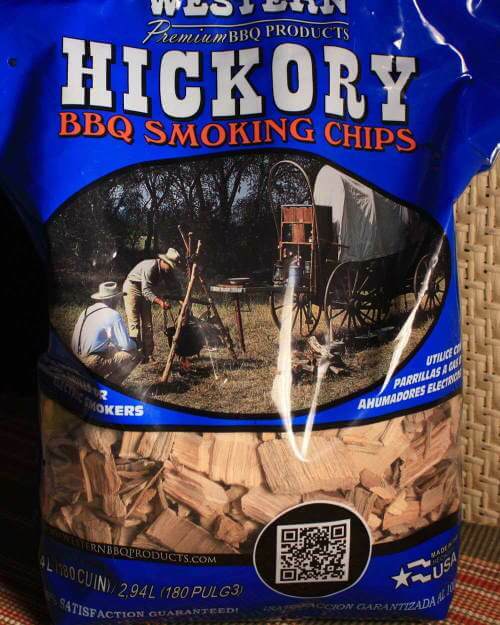 I like the flavor hickory imparts to the smoked ribs, but I prefer it to be on the light side. Oak adds a lighter smokiness to the meat...and has a different taste. 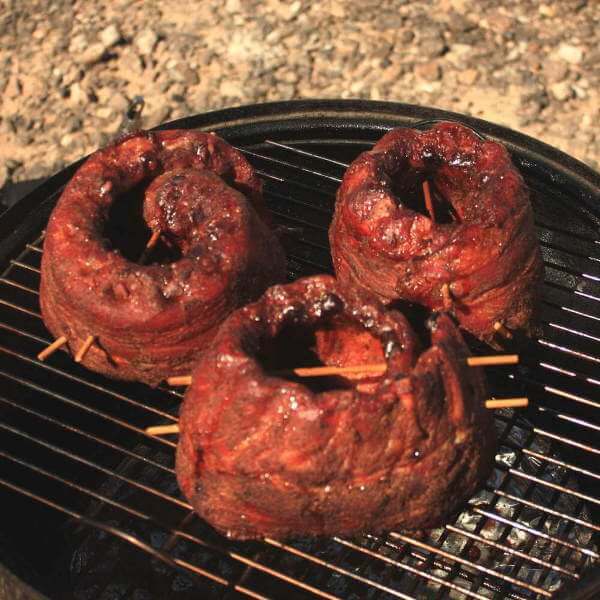 Apple tends to give the smoked meat a nicely browned look. 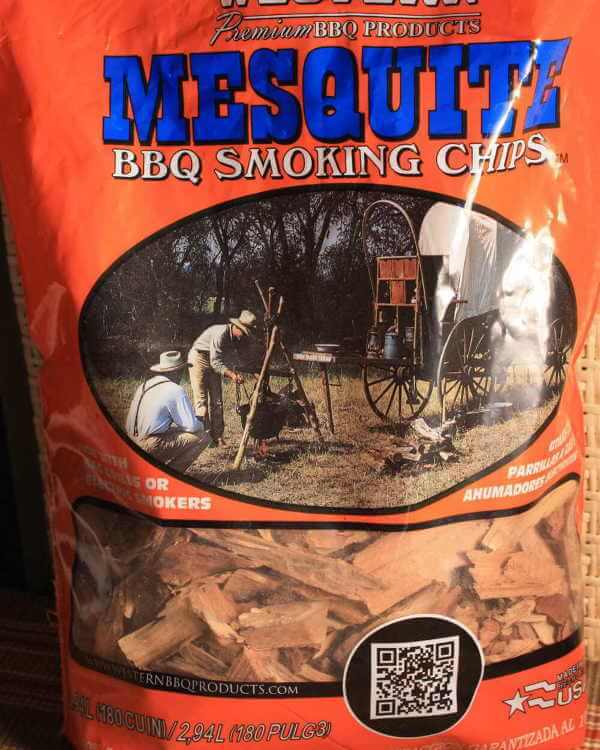 I've experimented with mesquite a couple of times. It creates a really strong flavored smoke, so if you try this one use it in moderation. Another option is to mix a small amount of the mesquite with one of the milder smoker woods. Pecan is another great smoker wood for pork ribs. It adds a nice, mild flavor. 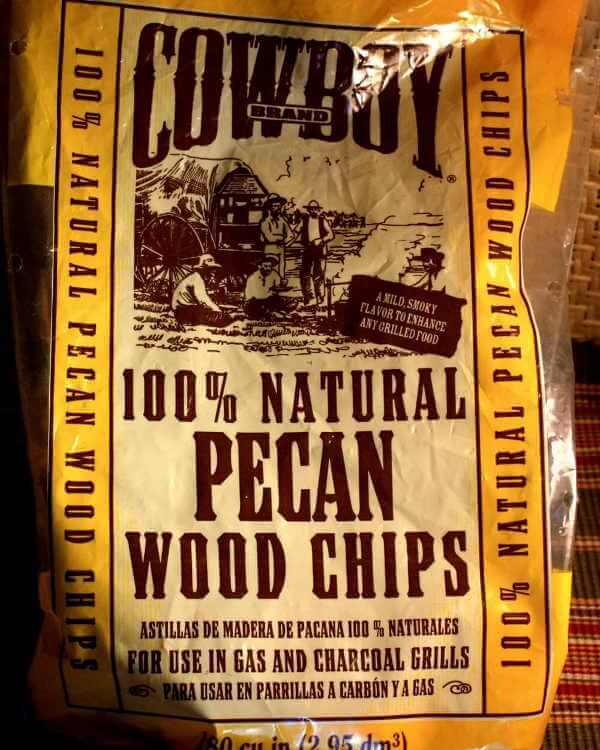 And remember this - too little smoke flavor is a disappointment, but too much can make your food nearly inedible. 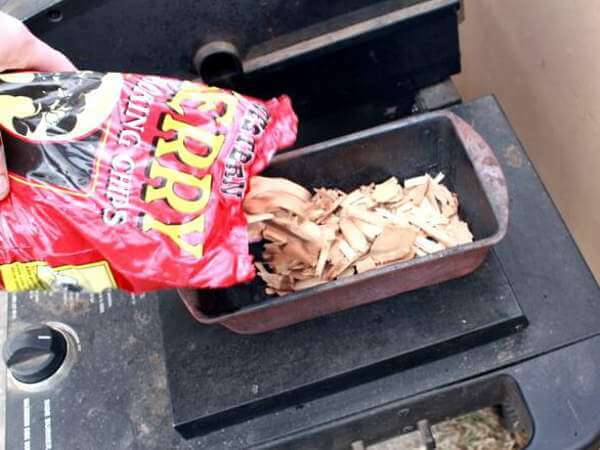 Start out using smaller amounts of smoker wood, and after smoking ribs a few times, you'll know how many wood chips or chunks to use. 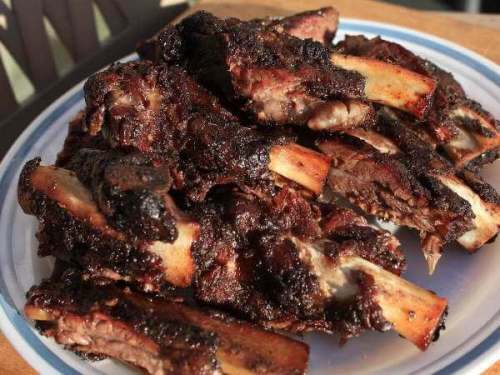 Give one or two of these smoked rib recipes a try. And know that none of the recipes are set in stone - you can make adjustments to the seasoning ingredient amounts the next time around so the rib flavor is more to your taste. When it's time to sit down to those scrumptious ribs, you need a little something on the side...maybe a nice garden salad, or some cornbread. How about some smoky baked beans ? I've always enjoyed a few grilled veggies beside my ribs, too.